July 30, 2010 is the 75th anniversary of the launch of Penguin Books. Before Penguin, books were expensive to purchase; if one wished to read a book, one ponied up the blunt (and this was 1935, smack in the middle of the Great Depression, remember) or got it from the library. Penguin brought affordable paperback editions of popular books to news agents, train stations, and other nontraditional bookselling locations, and revolutionized publishing and reading. The bookcovers featured simple, bold design, and color coding: orange for general literature, blue for biography, etc. 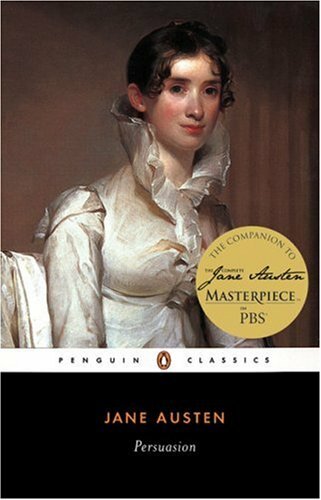 While none of Jane Austen’s books were among the original ten, they have enjoyed great representation in the Penguin catalog ever since. A bright-orange Penguin Mobile (an adorable Mini Cooper with the Penguin logo) is driving to bookstores all over the US to bring some of our bestselling authors to parties in their hometowns, increase awareness of The Nature Conservancy, and promote literacy. At each event, a set of 75 Penguin Books is donated to a local library or literacy group. Each author is signing the Penguin-mobile as it makes its way across the United States, and the summer’s events will culminate with a party at the New York Public Library in September where Penguin will auction the car with the proceeds going to the New York Public Library. Penguin is also donating sets of books to numerous U.S. military bases in Iraq and Afghanistan. AustenBlog congratulations Penguin on their 75th anniversary, and like hobbits, they are giving away gifts on their birthday! Penguin has sent us two copies of the Penguin Classics Deluxe Edition of P&P, with the Ruben Toledo-illustrated cover, to give away to two AustenBlog readers. If you would like to be entered in the giveaway, respond to this posting with a valid e-mail address that you check regularly and let us know your thoughts about Penguin and this auspicious occasion. If you wish to comment and not be entered in the drawing, just say so in your comment. 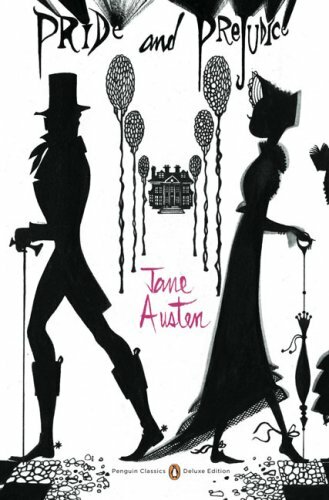 After the jump, just for fun, we’ve assembled a gallery of some of Jane Austen’s Penguin covers from over the years. ETA: It occurs to us we should put an ending time/date on the contest: make it Sunday, August 1, 2010, 8 pm ET. I would live to spot the orange mini cooper, almost as good as seeing the Oscar Myer Weinermobile rolling down the street! I love Penguin, but the fact that they are doing all of the to support public libraries makes them — brilliant! Only wish my library were on the tour. I have that Penguin Northanger Abbey, the Emma, and the Sense and Sensibility. They are much read and look a little the worse for wear now, but they are keepers. The Emma cover has always been one of my favorites; the painting very much corresponds to my personal image of Emma. I am so glad to see Penguin alive and flourishing and promoting books: the wonderful “real” ones–printed on paper, with lovely covers and actual pages I can turn with eager fingers, the ones that are delicious to curl up in bed with. I have too many Penguins on the shelf to count, but there still aren’t enough! I have always loved Jane’s work and was very please when I went into teaching that we used her books in Senior English. 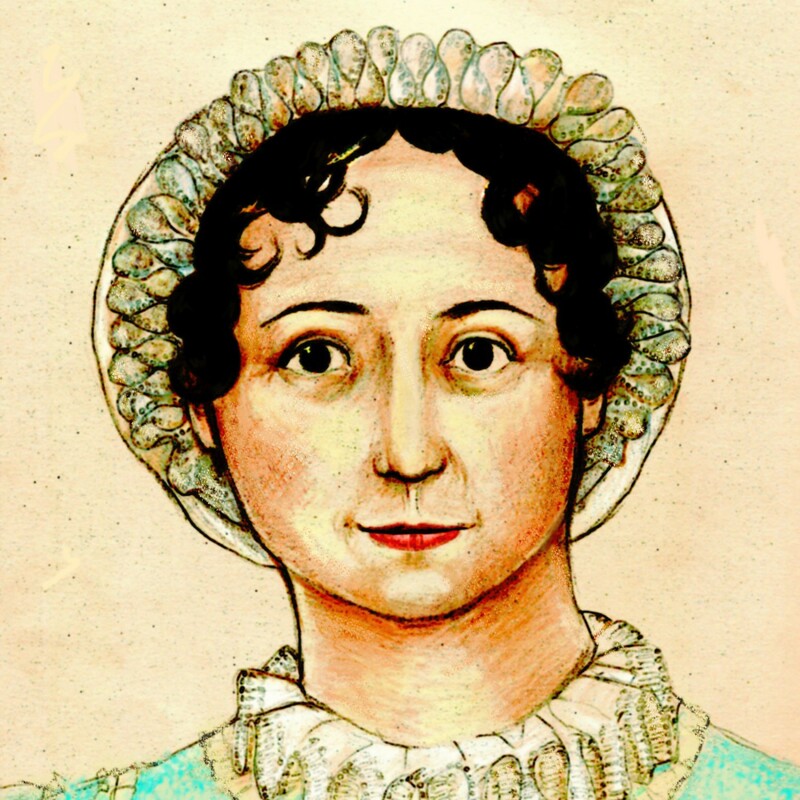 Once again I am trying to get back to using her Pride and Prejudice every semester. Thanks Penguin for keeping her work alive and available for all to read. Most of the books I use in the classroom are Penguin books. I love Penguin! All my English professors regularly recommend the Penguin editions, and I am happy to find them attractive, and affordable with reliable notes and interesting introductions. Congrats to Penguin for being a consistent and charitable organization. 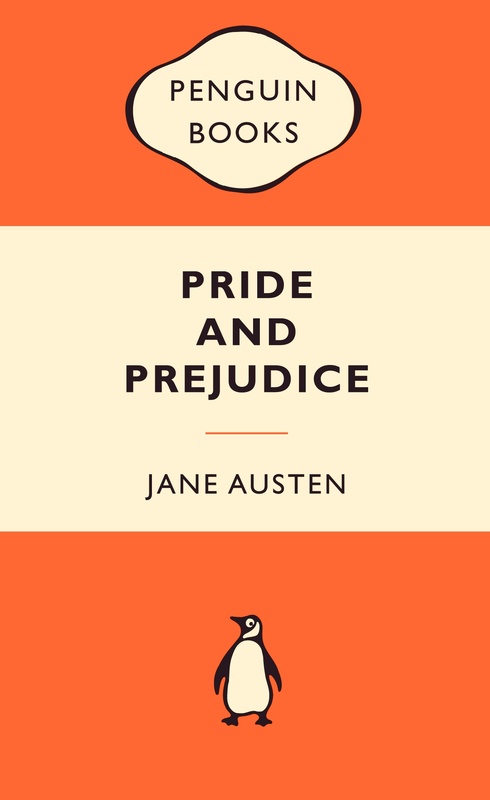 As much as I dislike the slightly later, top-center versions (it’s “Emma” on my browser)–some confused association with college?–I love, love, love the orange and white (Pride and Prejudice on this page, upper-left pic on my browser) versions. Don’t tell anyone else, but I have purchased Penguin paperbacks of this vintage just for the spines on my shelves, something I have categorically never done for any other sort of bound volume I own. As an aspiring poet, i have only good things to look forward at Penguin. For years, i have known it as one of the top publishers in the world. Penguin promoted so many talented writers over the course of almost 8 decades, it is an exemplary service to the literary world. It the time for celebration and hence all the best to the Penguin Books. Wish that they can crack the new age e-book platform and help more aspiring writers to see their books published. Congratulations and thanks to Penguin, for bringing affordable yet solid editions to the market. 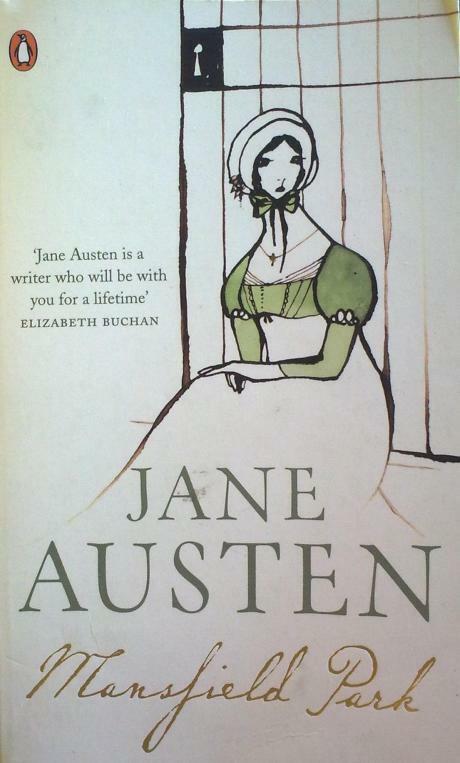 The first Austen I ever bought was Penguin’s yellow border version of P&P. I still have it, but it’s the worse for wear — I use the cover as a bookmark. 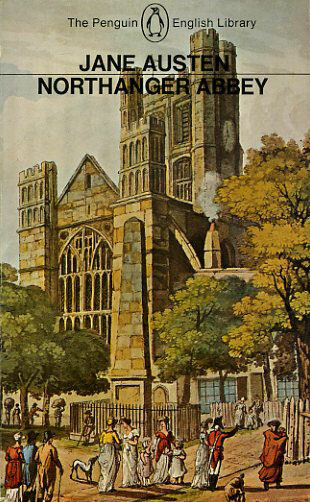 I had read and fell in love with P&P in school, but I used a library copy from the 50s. I wanted a copy of my own, so I bought the yellow Penguin edition because it was the nicest I could afford. I remember being amazed at the analysis in the introduction, and when I got to rereading the actual book, I was so happy to find all the end notes sprinkled through the chapters waiting for me like little treats. Those small historical and cultural insights were fascinating, and I wanted more. I cycled through the library’s whole stock of Austen, to see what I could pick up for myself. By the time I had enough disposable income to buy all six novels, Penguin had moved on to the black jackets. I bought them all. I also have the Oxford World’s Classics, and a group of Signets for lending, but the Penguin Classics are the ones I reread every year, because even though the Oxfords are slightly better reference tools, the Penguins are what I first knew. They fit like a favorite pair of shoes. Congrats Penguin, looking good at 75! Love that they are supporting libraries, that is always a good thing. Some more covers that are gorgeous, not in your post: hardback Emma, S&S, and P&P. I received my introduction to classic literature from Penguin when I stumbled across my father’s collection of Penguin Shakespeare editions in junior high. I picked up A Midsummer Night’s Dream and fell in love. This wasn’t the watered down storytelling my teachers and librarians were trying to pass off as teen lit–this was the real thing. Sadly, I do not own any Penguin editions of Austen. This seems to be the right time to correct that. My first copy of Pride and Prejudice was a penguin. Bought in 1980 and I will never throw it out for sentimental reasons. Perhaps I’ll be the dissenting voice, mmm? I have fond memories of Penguin as my first edition of Pride & Prejudice was one of theirs with an introduction by Margaret Drabble. College professors (particularly in Classical Civilizations classes) also had me use Penguin editions and the translations were superb. But my most recent interaction with Penguin has been a let down when contrasted with your opening line. I think for living in changing technological times, the publisher that helped make reading affordable through paperbacks placed conspicuously for potential readers should also have that commitment to making e-books an accessible and dynamic option. In April, much to my chagrin, I couldn’t access the e-books published under the Penguin umbrella by some of the romance authors that I love in e-book format because I didn’t have an Apple iPad or access to their iBookstore. Those books are now available for multiple platforms, but without the price discounting that allowed me to buy books regularly within budget. Here’s to hoping that Penguin returns to their pioneering ways by making e-books more accessible rather than less. Oh phoo, I am two and a half hours too late. Ah, well, I never win anything anyway. I had a cheap thrill once while watching MI-5 (Or Spooks in its original form) when one of the characters was riding on a bus reading a Penguin novel that I recognized as one of the Jane Austen covers. The title was not visible, so I had to go online and look for all of them to find out which book they were reading, just because. I absolutely love this book cover for Pride and Prejudice! I even have the cover saved as my laptop’s desktop background. The cover is so creative and clever, just the kind of thing that points out the tension of the thin line between love and hate in the novel. I would love to own a copy of this special book and be able to show it on my already overflowing book shelf. This past April I co-organized and spoke at a workshop for librarians on programming with classics and we had a powerpoint playing when everyone walked in that features different covers of classics. I especially like the Penguin hardback line. Although my library will buy paperbacks hardbacks last longer in the library world. Lately we’ve been replacing worn out paperbacks with the hardbacks from this line.